Let’s start this fisking by addressing his use of the word “machine.” Gingrich uses two pieces of evidence to support it: first, that Obama extracted $787 billion from Congress for his economic stimulus package “when no elected member had fully read and understood the economic stimulus package,” making it worthy of the Chicago political machine; second, that Obama ignored the will of the public by ramming through an unpopular health care bill. It is probably true that no elected member had fully read and understood the stimulus package (which involved massive tax cuts and rather conventional spending programs). But if that is evidence of “machine politics,” then every recent president, and certainly every modern Congress, is guilty on a massive scale. Bills are not drafted for reading; they contain technical legal language that is gibberish to all but legislative drafters. In my 40-plus years immersed in Congress’s processes, I cannot name a single major bill that more than a handful of members had fully read and completely understood—including every omnibus budget measure, the 2001 and 2003 Bush tax cuts, the far-reaching Patriot Act, the massive TARP assets relief program, and the Medicare Prescription Drug Bill jammed through the House in the dead of night in 2003, a huge bill which members had no opportunity to read because the version debated and voted on was sprung on the body with no notice. The examples above all took place under the presidency of George W. Bush and the speakership of Gingrich’s Republican successor Dennis Hastert. So call Bush, by the Gingrich standard, the Boss Tweed of machine presidents, leaving Obama as a weaker version of Richie Daley. What about the second Gingrich standard? The health reform plan was unpopular by one set of poll analyses—but not by others. Most major planks in the health reform package, from insurance exchanges to required coverage to the public option, actually had popular support. Sure, there was disapproval of the package in general—but not if one removes from the polling numbers those who disapproved because the bill did not go far enough! If we use as a gauge presidents pushing measures that were strongly disapproved by large majorities of Americans, let us look at the unpopular early-1941 extension of the draft, rammed through Congress by FDR by a single vote, or the 1989 congressional and executive branch pay raises, supported by outgoing President Ronald Reagan, incoming President George H.W. Bush, and both parties’ congressional leaders. Chalk up three more machine presidencies. In fact, if we embrace as a standard presidents and congresses who push and adopt proposals that are opposed by majorities of Americans, it would be fair to say that all presidents are machine politicians. Now, how about “socialist”? Here, Gingrich starts by citing the many “czar” positions appointed by Obama to micromanage industry, then turns to the government takeover of automobile companies (including violating bankruptcy conventions by favoring workers at the expense of bondholders), and moves on to denounce the possibility (not formal plan) raised by the White House that the Environmental Protection Agency manage carbon output. First: czars. Glenn Beck says that Obama has 32 of them. Using Beck’s definition—which is “based on media reports from reputable sources that have identified the official in question as a czar”—George W. Bush had 36 czars, making him more of a socialist than Obama. 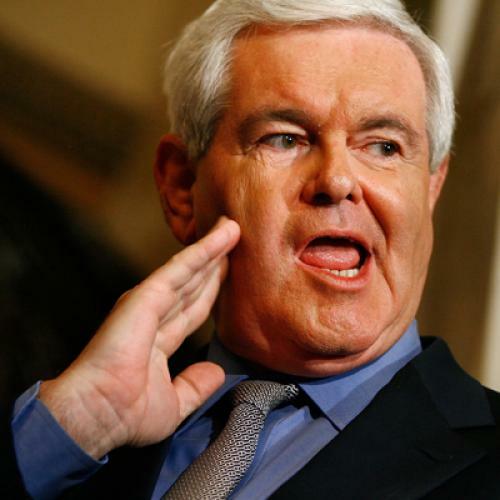 Gingrich particularly singled out Obama’s pay czar, who has modest authority to limit pay and bonuses to the top executives of financial firms who accepted the federal bailouts given to them during the Bush presidency. And by that standard, Richard Nixon’s wage and price controls, affecting far more people than a small number of Wall Street and big business executives, would make him a socialist too. The temporary takeover of General Motors and Chrysler? It was done for economic triage and added stringent firewalls to bar government meddling or control. Harry Truman’s less restrained attempted takeover of the steel industry makes him more of a socialist. EPA regulating carbon emissions? That makes the Supreme Court socialist since it sanctioned the process—but also hits George H. W. Bush with a socialist label, since the Clean Air Act Amendments that gave EPA the power (and opened the door for carbon emissions trading) were signed by him in 1990. Gingrich’s conclusion is that Obama is “the most radical president in American history.” Compare Obama to Jefferson—whose Louisiana Purchase radically altered the role of the federal government and dramatically expanded America’s reach; to Andrew Jackson, a radical populist who enlarged the powers of the presidency and acted unilaterally against financial interests and foreign powers; Abraham Lincoln, who took the country into a massive civil war after challenging slavery, suspended Habeas Corpus, and took on the established way of things through executive orders known as the Emancipation Proclamation; Theodore Roosevelt, who sharply expanded the government by creating trust-busting independent agencies, and sharply expanded American involvement abroad by asserting unilateral presidential war powers; Woodrow Wilson, who moved further to fundamentally alter America’s role in the world; Franklin Roosevelt, whose New Deal dramatically transformed the U.S. into a modern state with a vast federal government role; Lyndon Johnson, who gave the U.S. Medicare and path-breaking civil rights acts (along with Vietnam); or Ronald Reagan, who challenged the longstanding political and governmental establishment on domestic and foreign policy lines. Is Barack Obama, whose presidency is characterized by a set of actions designed to stave off depression and deflation, combined with a health reform plan based on Republican templates and with no public option, more radical than every one of these former presidents? My conclusion is quite different than that of my AEI colleague.